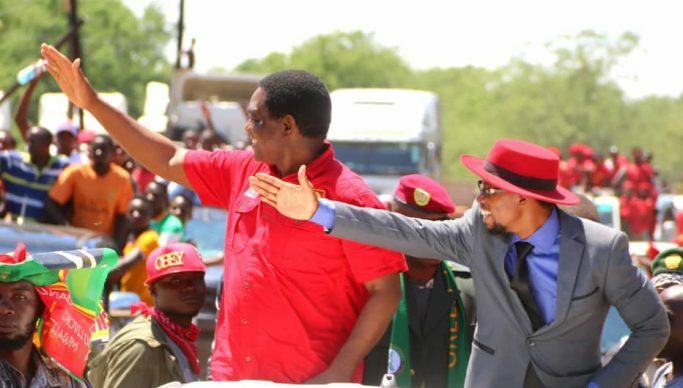 OPPOSITION United Party for National Development president Hakainde Hichilema has expressed confidence his party’s candidate for Sesheke constituency, Romeo Kang’ombe will win the February 12, 2019 by-election. Speaking in Sesheke on Thursday, Hichilema called on the country to unite and deliver the country from the Patriotic Front Party whom he accused of perpetuating corruption and bad governance. He encouraged youths to remain strong against PF as they were expected to engage in corruption in the run-up to the polls. He said Kang’ombe had set a good example to youths who are aspiring to lead at any level by resisting the attempts by the ruling PF to bribe him in order to withdraw his candidature. Meanwhile, Kang’ombe expressed confidence of scooping the parliamentary by election as the people of Sesheke believed that only UPND could deliver development to the area and across the country.